If you’re planning on using Google Translate as your primary method of translating important documents, then you’re going to be quite disappointed. I only say this because a surprising number of small business owners do this in order to save money on a professional translator. But in the long-term, this shortcut is costing them far more than they’re saving. I’m using Google Translate as an example but there are a lot of other mechanical translation tools that claim to deliver perfect results but in all reality fall short. There are just too many limitations with using the software. Unless you actually speak the language, you have no way of knowing whether or not the gist of it has actually been preserved. Language is sophisticated. You will need more than a machine to translate text that requires higher goals, like trying to sell a product or service. Here are 3 of the major pitfalls of using translation software. Every language has words that can mean more than one thing but software has no way of being able to judge context. It can only translate based on logical algorithms. Potential customers will lose confidence in your products/services if they see text that does not make accommodations for context. Your entire brand can suffer as a result. Polysemous words are usually where we see the most issues because the software will throw them out of context. Even worse is when legal text is translated poorly because it can actually put the user in danger. For example, if the warning section of a user manual is mistranslated, then it could have disastrous consequences. Another common issue that we see a lot of translation software is that it tends to translate sentences literally, rather than taking their context into account. Languages have different rules when it comes to sentence structure so relying on software can completely change the meaning of a sentence. This one is huge because certain cultures see certain words as inappropriate, which software can get wrong sometimes. So you could translate “old, wise man” into “el viejo y sabio.” The term “Viejo” is actually disrespectful in Spanish – the equivalent of “codger.” Imagine approaching a senior citizen and calling him a “codger.” That conversation would not end well. Software does not understand the impact that tone has. There are certain styles that are expressed through specific combinations of words. Software cannot pick up on this tone so your message will fall flat. We tend to speak more casually to potential customers. 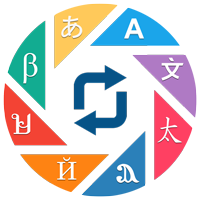 Each language has its own unique way to be casual. Translation software will simply use the best logical word, making you sound. Most translation software does not come equipped with a non-disclosure agreement. In fact, Google Translate goes as far as to have you agree that they have the right to use, host, and publish any content that you put into their software. This is a huge issue for businesses looking to translate content for their website. Ironically enough, Google will penalize duplicate content even if they are the ones using it. Protect your intellectual property by using a real person. Yes, professional translators are more expensive in the short-term but if you consider the long-term ramifications that software will cause, then the expense far outweighs the initial cost. Professional translation services could mean the difference between bringing in new customers and having to go out searching for them. In most cases, you get what you pay for. What experiences do you have with using translation software? Share them in the comments section below.